Steve Dunfee is an independent BMI singer/songwriter who blends traditional country, folk, classic soft rock, and a splash of bluegrass into his songwriting and live performances, and is deeply rooted in his Christian faith. Performing primarily as a solo acoustic artist, Steve has found a niche that is in popular demand by a wide variety of venues. Steve hit the professional music scene in early 2014 but has been playing music for over 40 years. His debut album “Appalachian Reflections” released in May 2014 led to a feature article in the June 2014 issue of BWD Magazine where it was stated, “Writing songs that strike a chord of resonance within the minds and lives of listeners Steve pens missives of relatable realities and familiar-feeling themes.” Anyone that has heard his popular single, “The Honeydo Song,” would certainly agree! 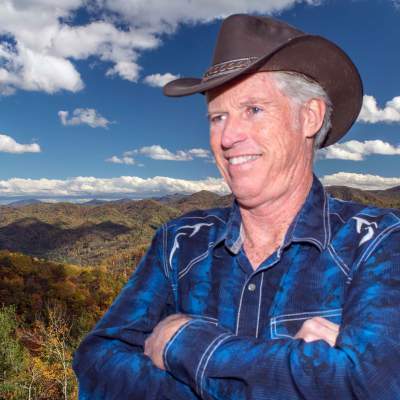 His musical talent and rich vocals have helped him rapidly build a faithful local following in and around his hometown of Mountain City, Tennessee. Thanks to social media and Internet radio play on hosted radio shows such as The Pat Stone Show on omcrn.com & neonmusicradio.com, The Rollin’ Rhythm Roundup on omcrn.com, chasingyourdreamradio.com, 92.6 The Blitz, TurnItUpRadio.com & more, Steve enjoys a growing group of fans and friends all around the world. Steve has also earned the respect of fellow artists and songwriters and frequently receives opportunities for song collaborations with fellow artists and has recorded and released several of these co-written singles – Broken Chains, Holy Land, Mountain Man, The Only Place I Can Lose the Blues, Presley Was Her Name, and High Plains Drifter. Steve stays busy performing around Southern Appalachia and enjoys performing at venues such as Bonefire Smokehouse, Butler Trading Post, The Hotel Tavern, Heritage Hall Theatre, Harbin HIlls Farms, Vistas at RedTail Mountain Resort, Mountain City Sunflower Festival, Shady Valley Cranberry Festival, the Valle Country Fair, Ralph Stout Park, Loui’s Backyard Grill & Pub, Shirley’s Restaurant, Villa Nove Vineyards, and Watauga Lake Winery. Steve is also a regular guest performer at the Red, White & Bluegrass Jam in Boone, NC. Outside of music, Steve is an avid outdoorsman and enjoys hiking, kayaking, photography, and an occasional round of golf. Steve’s next album is underway with a scheduled release in the Spring of 2018. To keep up with Steve’s performance schedule and to learn more about new music releases please visit www.stevedunfeemusic.com.